In recent years, gourmet donut shops have popped up all over the US. (The trend started in Portland, of course.) Detroit is a newcomer to the scene, though, with only a few places around town that can ply giant artisanal sweets like now-famous PDX’s Blue Star or Philly’s Federal Donuts. But when your city has an entire day centered around cream-filled Polish donuts, there’s no shortage of places to gorge yourself and expand your waistline. 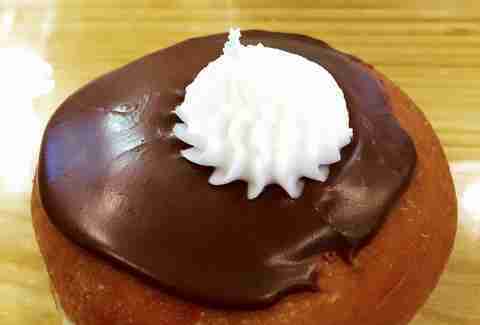 In case you didn’t get your fill yesterday on Paczki Day, these are Detroit’s greatest donut shops from our favorite traditional bakeries to the few that can absolutely challenge Portland’s trendsetters. Don’t get distracted by the jarring juxtaposition of delightful, innocent, old world donuts: Dutch Girl Donuts may just have the best donuts in Detroit. Get the glazed crullers and the chocolate crullers and the glazed blueberry and the unglazed blueberry and most definitely the sour cream. And then return for more. While Rose’s Fine Food has garnered plenty of national buzz this past year for its admittedly adorable diner vibe, the atmosphere comes in second to its equally adorable (but, you know, more appetizing and edible) donuts that are made daily from scratch. If you come in when they’ve got the chocolate, get the chocolate. If you come in when they don’t have the chocolate, get whatever they have and then come back for the chocolate. Daily Dozen is Detroit’s contender to other city’s giant, artisanal trendy shops. Past flavors have included a Reese's Peanut Butter Cup donuts covered in chocolate, peanut butter cup chunks, and a peanut butter swirl; Samoa donuts covered with chocolate, caramel, and toasted coconut; and S'mores chocolate cake donuts covered marshmallow glaze, graham cracker crumbs, and chocolate sauce. Just to name a few. While Paczki Day might be done and over (and we hope you got your fill yesterday), you can get paczki at New Palace all year long. 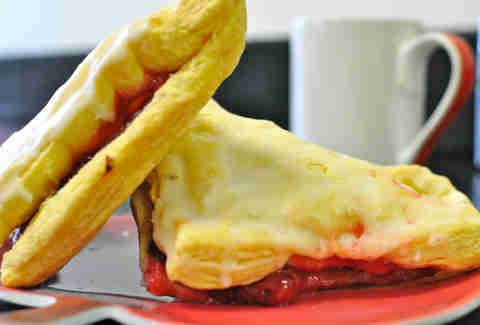 Flavors include the nearly overwhelming list of raspberry, strawberry, blueberry, cherry, apple, apricot, lemon, prune, Boston cream, chocolate Bavarian, butter cream, raisin, rose hip, plain sugar, and pineapple, but custard is the only one that really matters. From the folks behind Astoria Pastry Shop comes Krema, an almost one-year-old sweet shop that touts traditional Greek pastries like bougatsu, plus the Kremut, their version of NYC’s cronut, which they churn out in flavors like crème brûlée and Nutella. 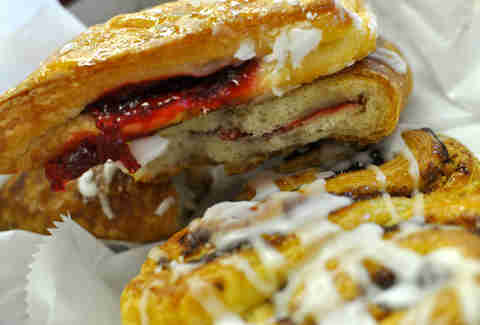 Knudsen's has delicious donuts, no doubt, but with "Danish" in the name you should opt for what they have done best since opening in the 1920s: traditional Nordic-style danishes in flavors like cheese and raspberry. Generally speaking, most donuts are visually appealing -- a little treat for the eyes before they hit the mouth. But the donuts at the Donut Cutter are not most donuts. These are works of art -- glistening, glazed donuts in cherry cake, blueberry cake, and lemon poppy seed cake. Giant birthday donuts (so much better than birthday cake!). Donuts covered in nuts and sprinkles and cereal bits and coconut and cinnamon sugar. 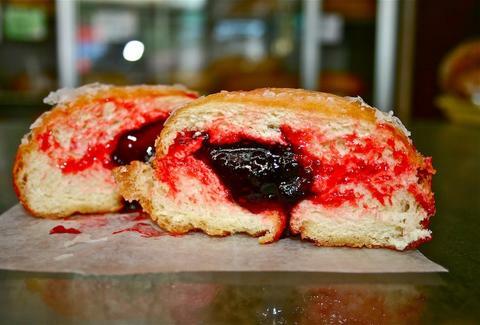 Donuts bursting with custard and jelly. 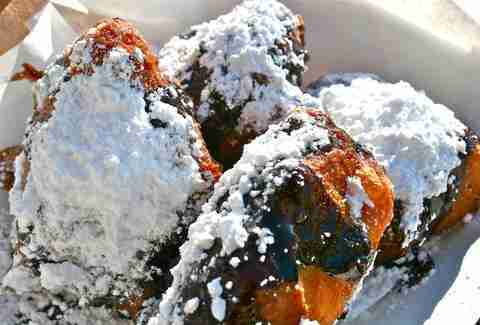 Perfectly-shaped sour cream donuts and lusciously lumpy fritters. Oh, and they’re also delicious. When a place names itself after a certain thing, you should always get that thing, and Apple Fritter is no exception. If you get here early enough you can catch these guys still serving fresh, hot apple fritters right out of the oven – like warm, cinnamony apple pie, but in donut form. 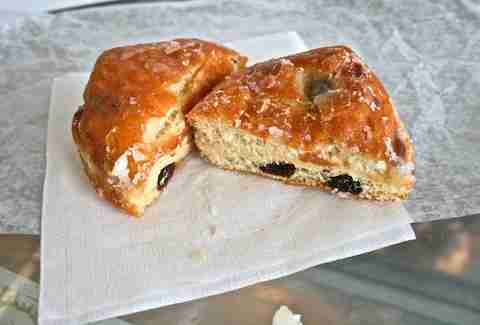 Not only does the Looney Baker make some of the best donuts in metro Detroit -- fluffy cake donuts coated in toppings like nuts and sprinkles -- but they're also open 24 hours and sell a decadent coffee cake-style "Looney Bread." Because New Orleans shouldn't have all the fun, and because Detroit is the New Orleans of the North anyway, the Beignets 2 Go food truck brings the beignet -- a unique confectionary taste of the Bayou -- to the D, topping them with items like raspberry sauce, dark chocolate sauce, mounds of powdered sugar, and even bacon. They also have their own version of the "cronet." Elias Donuts has been around over 30 years and has that old-school donut shop charm -- complete with a long Formica counter and tiled floors with 1950s-style soda shop stools. Try one of their specialty flavors, like the glazed sweet potato cake donut. 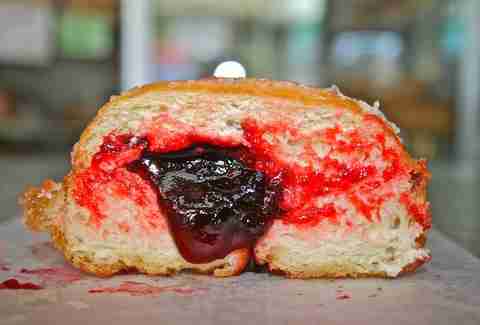 Bonus: they also serve paczki year-round! 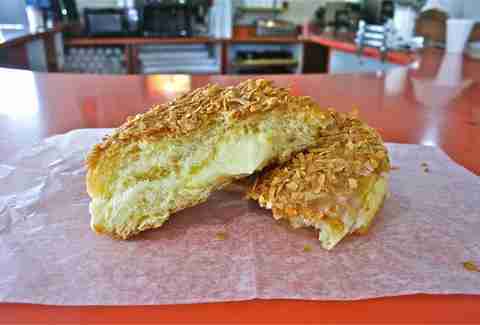 We have previously noted that the custard-filled Boston Crunch topped with glaze and toasted coconut makes life worth living. Maybe not in so many words, but we're using those words now, so why aren’t you sliding up to that counter yet? Nicole Rupersburg doesn’t eat donuts often but when she does, they had damn sure better be oozing with delicious custard. Follow her on IG at @eatsdrinksandleaves for the sporadic donut post and much more frequent beer post.